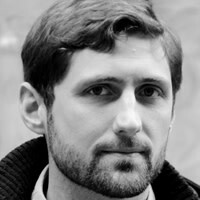 Phil Klay reads Andrew Bacevich’s important polemic on how we lost touch with our soldiers. In 2011, President Obama declared that the U.S. soldiers leaving Iraq were doing so “with their heads held high, proud of their success, and knowing that the American people stand united in our support for our troops.” What, precisely, did that mean? Certainly, when I’d left Iraq back in 2008 I’d been proud of my service, but whether we’d been successful or not was still an open question. The war was ongoing, and the definition for “success” seemed to keep shifting. Was it regime change? That’d happened early on in 2003, before I’d even joined the military. Was it the creation of a stable Iraq? That never happened. Defeat of both Shiite extremists and al Qaeda in Iraq? Again, no. So “success” is a tricky term. Even trickier, though, was his invocation of an “American people stand[ing] united in our support for our troops.” There’s a general feeling of good will toward the troops, for sure, but what else? Is there a commitment to proper oversight of the wars they carry out on the American people’s behalf? Is there the political will to ensure their lives aren’t expended needlessly? Those questions lie at the heart of Andrew Bacevich’s latest polemic, Breach of Trust. Bacevich, a Vietnam veteran who served in the U.S. Army for 23 years and now teaches international relations and history at Boston College, argues that the creation of the all-volunteer military has hurt both America and its armed forces by taking the responsibility for war away from the people and relegating it solely to the state. Though at times carried along more by hyperbole than by evidence, Bacevich makes a powerful and deeply necessary case for a fundamental shift in the way that we fight our wars. His argument is fairly straightforward. Prior to the Cold War the American military tradition was based on the model of the citizen-soldier. Since the public itself widely participated in America’s wars through a draft, or rationing, or some other national effort, politicians needed to make their case for large conflicts to a public that was sure to keep an eye on whether we were achieving our stated goals. Americans had no choice but to pay attention, since they or their family members were likely to be directly involved. Bacevich quotes Gen. George C. Marshall’s claim that “a democracy cannot fight a Seven Years War.” And indeed, a democracy generally could not in the age of the citizen-soldier. The wars were shorter, and at their conclusion the military was shrunk to a small, peacetime military of professional soldiers that carried out police actions or “frontier-pacification.” Though the wars of this era may not have always been strictly moral (Ulysses S. Grant called the Mexican-American War “the most unjust [war] ever waged by a stronger against a weaker nation”), and though some may have resulted in imperial overreach (the Spanish-American War left the U.S. with all of Spain’s non-African colonies, but also with an insurgency to brutally crush in the Philippines), Bacevich argues that they at least generally furthered American power and prosperity. The Cold War provided justification for a larger peacetime military, since we were never really at peace, or so the argument went. This uneasy state of affairs continued until Vietnam, when popular will to engage as citizen-soldiers dried up. General Marshall’s rule about democratic tolerance for war seemed vindicated. Vietnam left the military in a state of crisis, rife with drug use and lack of discipline. “No longer able to elicit respect and induce popular support, especially among the young,” the military desperately needed change. To make matters worse, this hasn’t necessarily led to better prosecuted wars. As Gen. Stanley McChrystal put it, with an all-volunteer force the American people don’t have any “skin in the game,” so once a war is ongoing it’s much easier to muddle about with an ill-defined mission set while contractors get richer, little gets achieved, and soldiers get killed and maimed. Bacevich points out that in 2011 government investigators determined that “war planners have wasted as much as $60 billion on contract fraud and abuse in Iraq and Afghanistan, about $1 for every $3.50 spent on contractors in those countries over the last decade.” For those keeping count, that’s $12 million a day. General Marshall was wrong. We’ve learned that a democracy can stand a Seven Years War, as long as it’s carried out by volunteers and contractors—and as long as it’s paid for on credit. The answer is no. After all, how could they? Less than 1 percent of American have served in 12 years of war, and serious public conversation about military policy is sorely lacking. When Donald Rumsfeld—the man who presided over Abu Ghraib, an escalating insurgency in Iraq, the beginning of a slow spiral out of control in Afghanistan, grotesque levels of fiscal irresponsibility, and waste, fraud, and abuse—wrote a book about leadership, I expected considered criticism not only from the antiwar crowd, but also from neocons who had found their worldview undermined by his performance as secretary of Defense. Instead, he was invited on to The Today Show and Meet the Press for chummy interviews. If this is indeed the world the all-volunteer military has made, then Bacevich has a good point indeed. Breach of Trust is not perfect. At one point the author claims that generals treat “assertions as if they were facts,” an argumentative crime of which practically every polemicist ends up being guilty, including Bacevich. He has a tendency to accuse policymakers of crass motivations without providing any evidence other than his interpretation of their policies. He judges the First Gulf War a failure because it led to Iraq, a strange argument given that the 2003 invasion of Iraq was clearly a war of choice and hardly an inevitable occurrence. More problematically, he allows no room for honest disagreement. In his indictment of the American intellectual class, he takes a slightly less extreme position than Ann Coulter, claiming that while their behavior “might not meet the strict definition of treason, it certainly qualifies as grotesque and contemptible irresponsibility.” To the polemicist, the world is not a complex place—there is the polemicist’s position, and there is corruption. Why should the people weigh in on war at all? Leave it to the policymakers and pundits. They’re happy to tell us, backed by footage of dead bodies in Syria, that we should do something. Except the “we” in this instance does not mean “we.” It means “them,” the 18- and 19-year-old volunteers who take on the brunt of our intemperate, accountability-free military policy.